← Killing Cane Toads – How fun is it for them? Lets go with the popular guy! For those of you living in Queensland, Australia, you will well know that yesterday the Lord Mayor of Brisbane, Campbell Newman, is going to try to get leadership of the Liberal-National Party (LNP) for Queensland. To do this, he first must get elected to by the party to sit for a seat/position in parliament at the next election. If he is successful then he can challenge the leadership of the party. 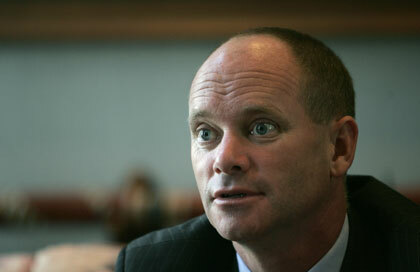 If the party wins the election he will become SUPREME RULER (Sorry, I mean Premier of Queensland). The leader and deputy leader of the LNP have already stepped aside – regardless of the fact that the Lord Mayor hasn’t even been voted into the party. The reasoning behind this seems simple to me. The current leaders are not popular and, at present, the Lord Mayors popularity is high. Thus, voting him in to lead would be great for them. I would like to point out one minor flaw that people in Queensland (and Australia) seem to keep forgetting when it comes to elections (which is why popular people are always changed and placed as leaders or party representatives). You are not voting for the leaders of the political party – you are voting for the person who represents your area/region/district and the party that they represent. The district that the leader is running in is voted for by that districts voters. If they fail to get voted in, then they will not be the Premier/leader of the state/country. This scenario hardly ever occurs, with the leaders or ‘top dogs’ of the party being placed in reasonably secure seats. An example though is the federal election in Australia when the LNP was last in power. Although they didn’t win, IF they had won, then their leader (John Howard) would not have been Prime Minister because he got voted out in his district. Therefore, when you go to vote, don’t think that you are voting for the leader of the opposition or the current government. You directly are not. You are voting for your local member and the policies that their party (if they are in a party) stand for. This entry was posted in Opinion Piece, Silly ole Politics and tagged Campbell Newman, election, LNP, politics, popularity, queensland. Bookmark the permalink. 4 Responses to Lets go with the popular guy! I reckon he blackmailed the Leader and Deputy leader. I like the conspiracy theory Jo. Careful they don’t take you out. Hmmm. Interesting. I wonder how it will go down with rural voters? The LNP have a strong support base outside of the south east and Newman is very much a ‘city’ guy.